CPUT is situated within the Cape Town cosmopolitan hive. With campuses in Bellville, Cape Town and Wellington, CPUT not only provides a diverse social life but easy access and quality education. 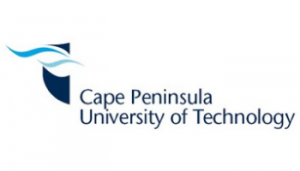 The Cape Peninsula University of Technology is at the heart of technology education and innovation in Africa. An internationally acclaimed institution, it is the only university of technology in the Western Cape. CPUT is situated within the Cape Town cosmopolitan hive. With campuses in Bellville, Cape Town and Wellington, CPUT not only provides a diverse social life but easy access and quality education. The institution boasts modern facilities with innovative teaching and learning approaches making studying more enjoyable. CPUT is a leading university of technology in the Western Cape and offers a variety of career-focused undergraduate and postgraduate courses across a broad spectrum of subjects. CPUT has an electronic system that connects students with their lecturers and courses through their workstation. Their e-Learning system is an effective way for students to stay up to date with their courses and course materials.